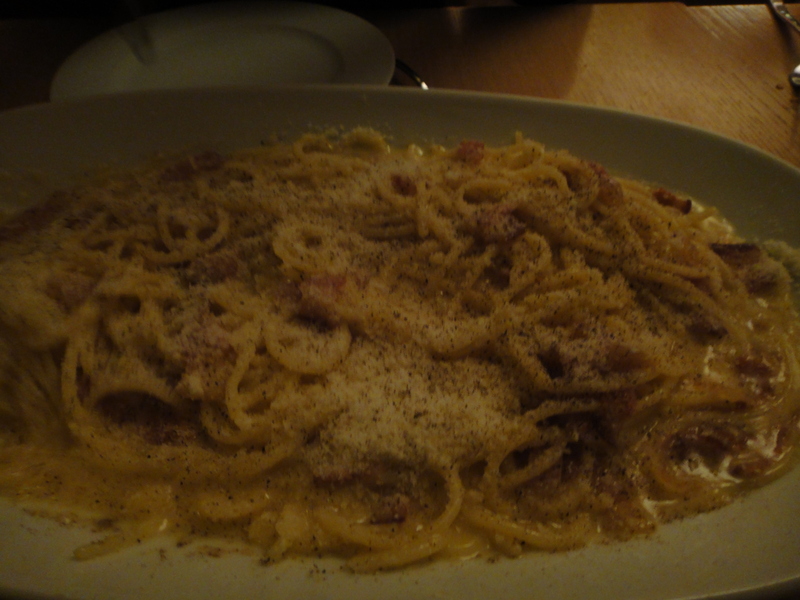 It was only after I twirled the first forkful of pasta in Bar Semplice that I twigged exactly what I’d signed up to. “Carbonara cookoff, marvellous…compare dishes from x and y, yes” – with the chefs sitting there in front of us. Next off why don’t I just decide between your two children. We started off with a Prosecco and Franciacorta comparison. I hadn’t been aware that Prosecco is barrel fermented where Franciacorta is bottle fermented (same as Cava and Champagne). The latter was a blanc de blanc, so entirely made from the Chardonnay grape. I’ll admit I liked them both, and was glad that this wasn’t in contention. Both Mario and his business partner Giovanni Baldino are from Lombardy and strive to source ingredients there for both of their restaurants. On to the battle. 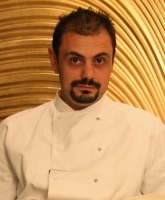 In the blue corner, the celebrity chef and Italian traditionalist, Marco Torri. 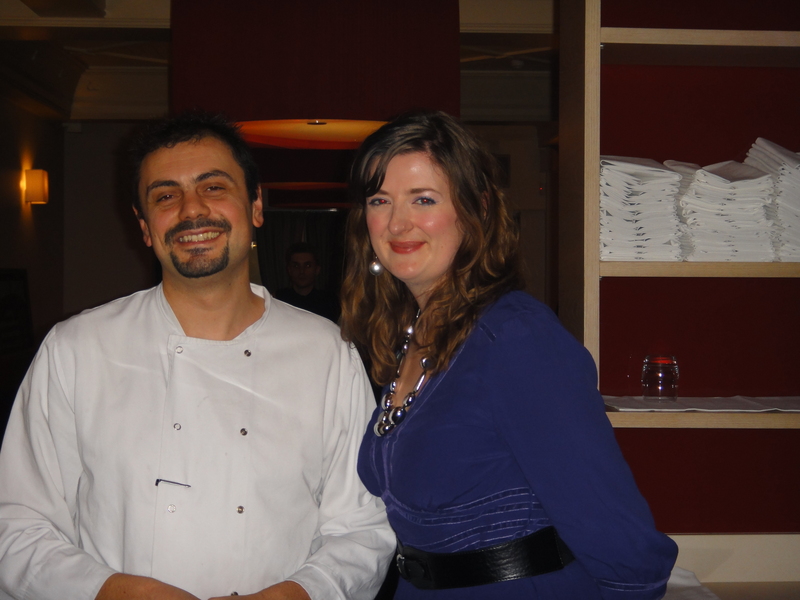 Head Chef and co-owner of Ristorante Semplice, and a fine goatee. Sporting chef’s whites and Birkenstocks. In the red corner, the challenger, Jane Hornby. Fighting fit even after spending six days (six!) at BBC Good Food in Birmingham. Author of What To Cook and How To Cook It. Wearing very fetching earrings and a lovely purple frock. When the dishes arrived on identical platters, we were struck by how dissimilar they looked. Dish 1 was startlingly well seasoned, evenly coated in finely ground black pepper. The jungle of pasta was perched in a lake of creamy sauce and lots of bacon peeked out from underneath. Dish 2 looked comparatively dry. Specks of sauce clung to strands of spaghetti, again with generous amounts of meat on show. Time to dig in, and the chefs rejoined us from the kitchen. The restaurant’s Muzak errs gloriously on the side of 80s kitsch and had either “under pressure” or the Rocky theme tune popped up next, it would have worked. Dish 1 was punchy and rich from the first mouthful. My scribbled notes say pecorino, egg yolk and speck, and ‘very yellow’. We debated whether it was cream or pasta water making up the sauce. The liberal peppering added to the burst of flavour without overpowering as you might have expected. Dish 2 was immediately sweeter. Certainly Parmesan and I thought maybe cheddar. The bacon tasted less smoked. Overall the effect was ‘comfort’. I could have eaten a trough of it. We decided it had garlic – and revised that to garlic oil. Then we had to give our verdict. Audible gulp. We dallied by first attempting to call who’d cooked each dish. Our side of the table assigned Dish 1 to Marco and thought Jane had created Dish 2 and it turned out we were right thought we didn’t get all of the ingredients right. 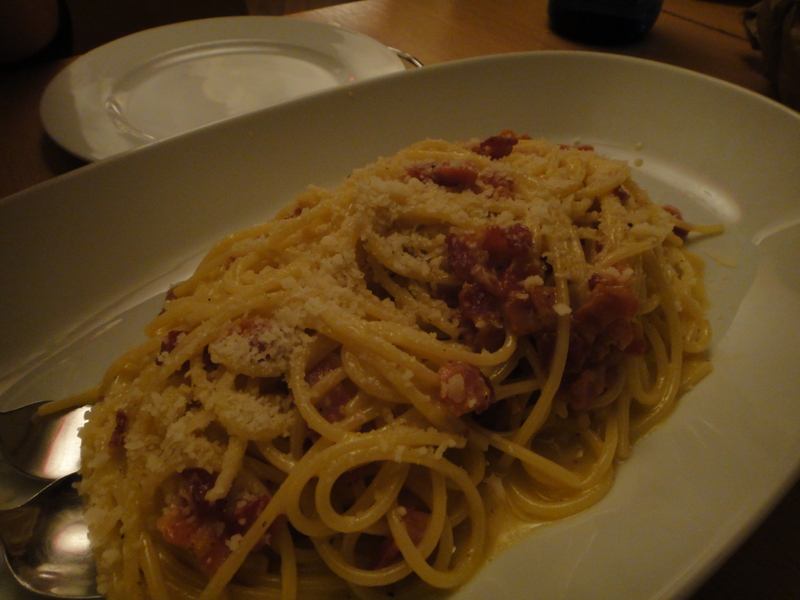 Marco’s dish was made in the most traditional way with pork cheeks, and pecorino from Rome, egg yolks and pasta water. Jane’s used supermarket ingredients – a core principle of her book – including parmesan and whole eggs, and I think she said she put garlic in but left it whole (I’ll check when I get my mitts on the book again). Both of them were very tasty but it was interesting how different they were. Jane’s tasted like perfect comfort food from the cupboard, and Marco’s was more sharp and defined. I’d have a plate of either right now. What made me decide which was which? Simple. Apart from the pecorino in Mario’s, it was the pepper. Most non-professional chefs (by that I mean people who haven’t worked in a commercial kitchen) are more reticent about seasoning. The pepper gave it away. 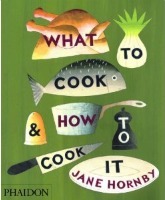 What to Eat and How to Cook It is published by Phaidon.